A participant in Mecklenburg County, N.C.’s fitness program gets help from a coach at CrossFit. Teens and young adults with disabilities needed an opportunity to join the fitness community. Mecklenburg County, N.C. created a program using Adaptive CrossFit and Yoga to help participants increase their fitness. While running a sports program organizing football, baseball and basketball games for disabled teens and young adults in Mecklenburg County, N.C. last year, Stacey Thomas was also looking at ways to add fitness classes to the mix. “We were trying to start a more health and fitness focus, so we started offering Zumba and we were trying yoga,” said Thomas, a therapeutic recreation specialist in the county’s park and recreation department. In her personal time, Thomas began brainstorming new ideas after a visit to a CrossFit gym where she works out. There was a lot of talk there about working with adaptive athletes and opening up the fitness world for people with disabilities, she said. She started talking to her supervisor about partnering with the fitness company to work with disabled teens and young adults. Her supervisor told her “absolutely, go for it,” she said. 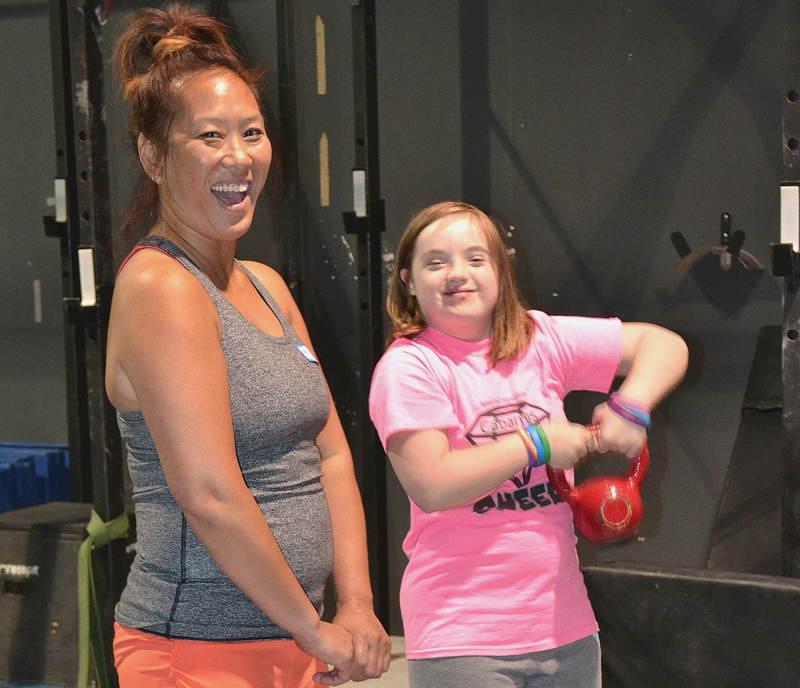 The new fitness program was geared to disabled teens and young adults diagnosed with autism, down syndrome and cerebral palsy. Thomas then went to CrossFit to find fitness instructors to work with her on the program and discuss the space they could use. The county got the word out about the program by sending out email blasts and flyers to CrossFit, their Facebook community, schools, disability groups and rec centers. The new program launched in April 2017 and planning is underway to offer it again in the upcoming 2018–2019 season. “We definitely want to do it again,” she said. Participants not only get more fit but it’s an opportunity to work on social skills and feel included, Thomas said. One young man in particular, who has cerebral palsy and uses a walker “told me ‘I thought I wasn’t going to do a lot of the exercises,’ but he surprised himself,” she said. In addition to gaining self-confidence, exercising helps someone who is disabled push themselves up from their wheelchair or gives them more strength to stand up if they fall down, Thomas said. The park and rec department’s healthy budget easily absorbed the cost of renting the CrossFit gym, and providing coaches and volunteers, Thomas said. The program’s success is measured by looking to see if the goals and objectives are met. The goals and objectives include improving intellectual skills by following directions and improving physical well-being; the progress of each participant is documented. Want to start a similar program? Thomas said to look around your community for a gym to collaborate with. “Community connections are a big thing,” she said. Federal inaction on immigration reform is ceding responsibility for handling the issue to state and local governments, which are further stymied by the lack of clarity on those policies. Earlier this month, NACo released a new resource on the Supplemental Nutrition Assistance Program (SNAP, formerly known as food stamps).